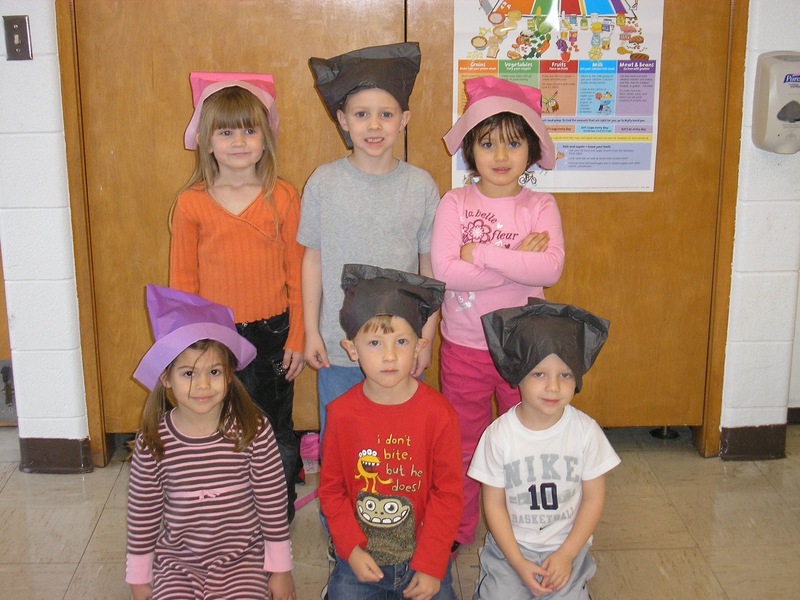 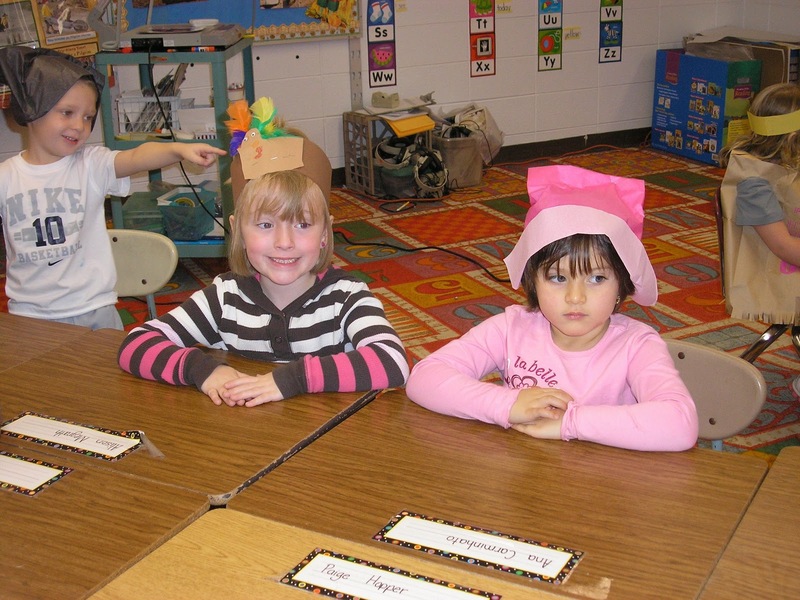 Kindergarten- The Place For Learning and Fun! 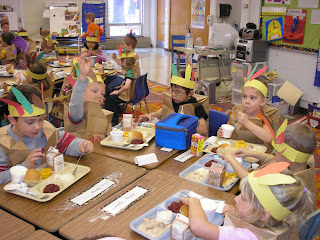 : Thanksgiving Feast! 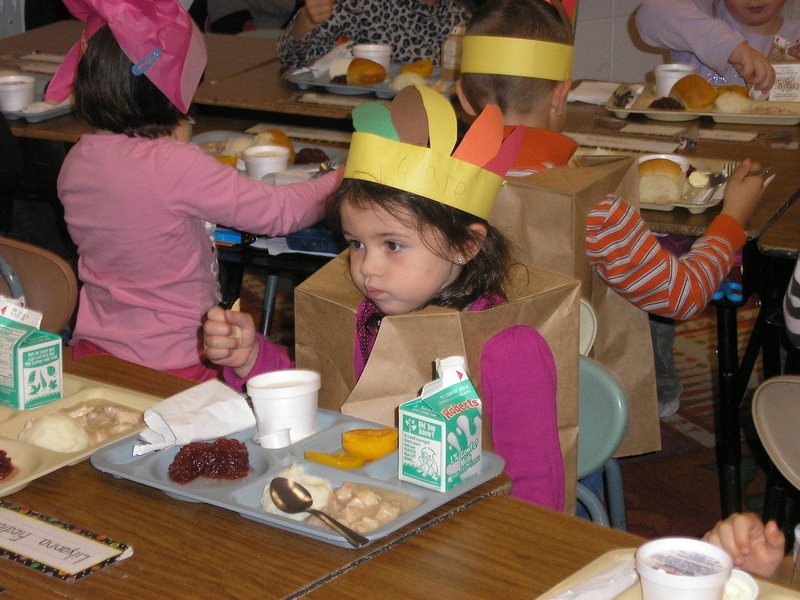 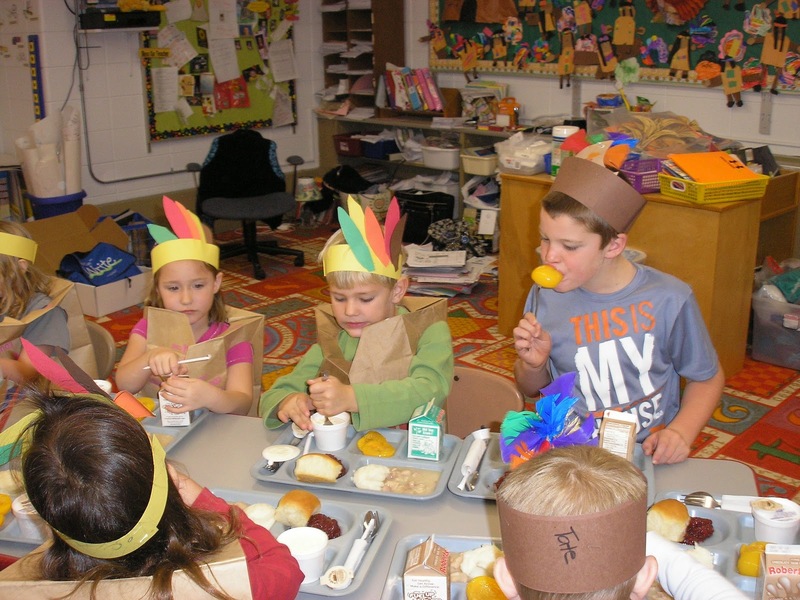 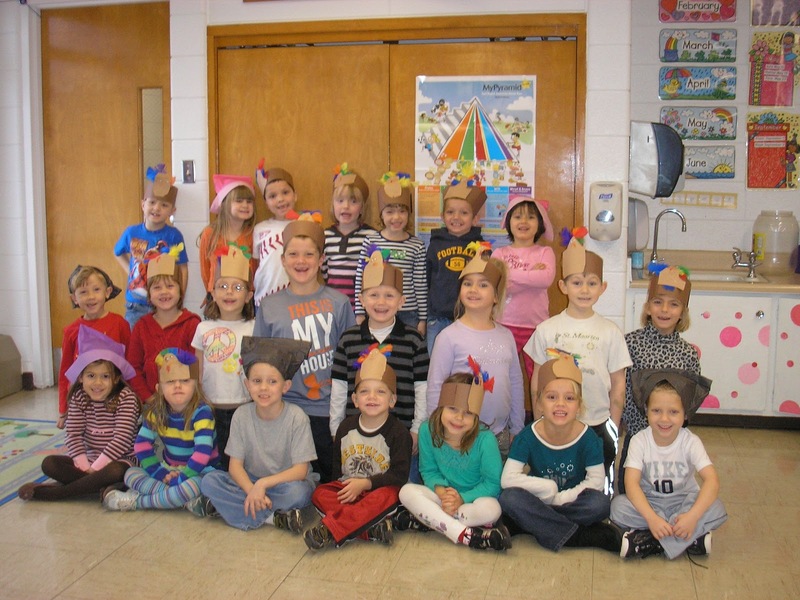 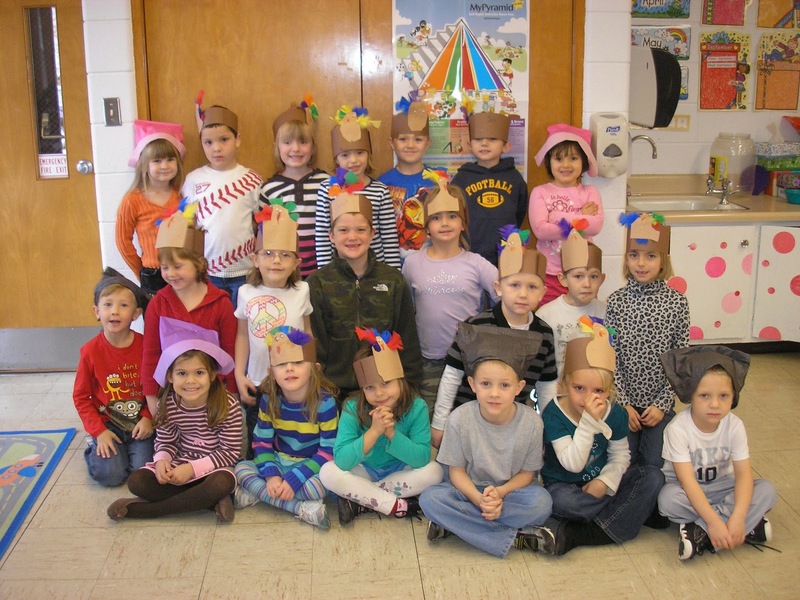 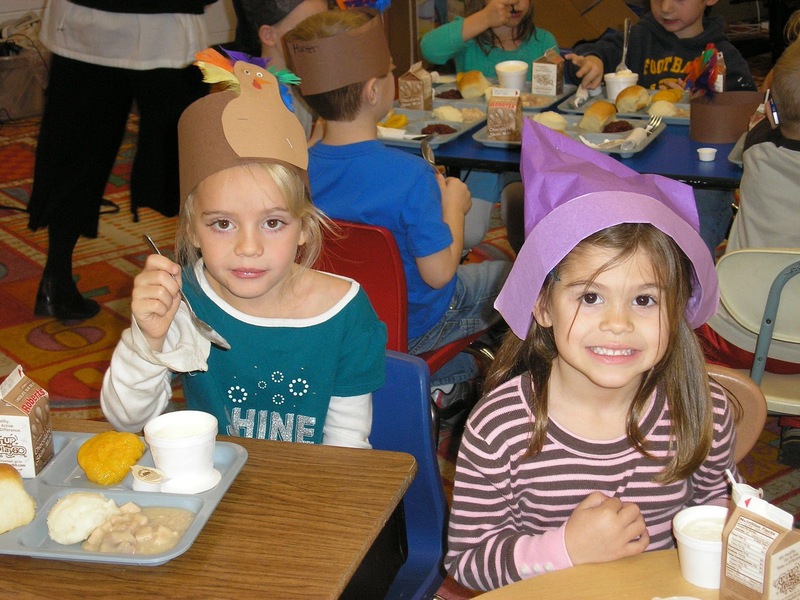 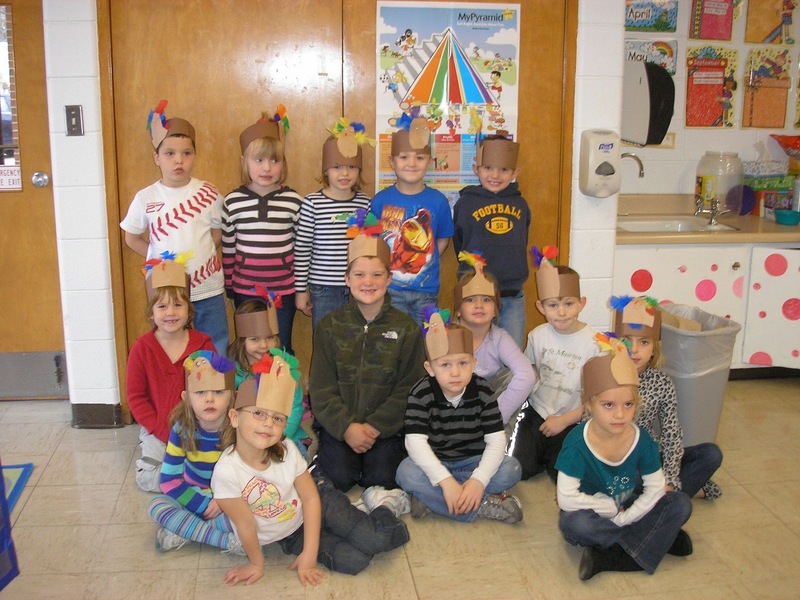 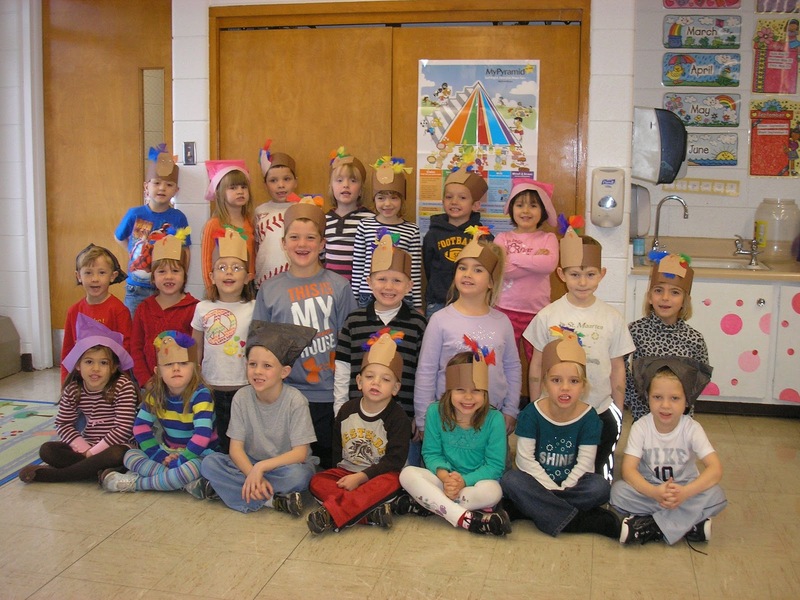 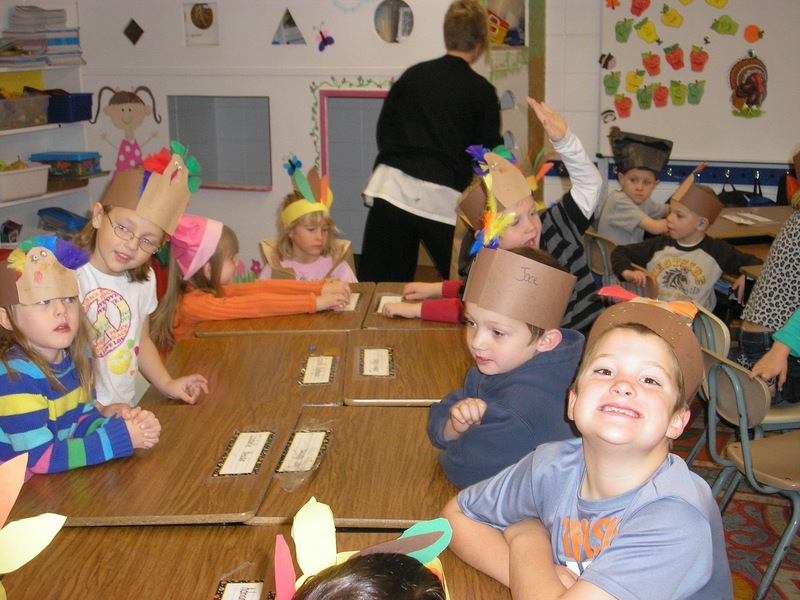 Mrs. Spalla's Kindergarten Class invited Mrs. Gleason's class down for a Thanksgiving Feast. Mrs. Gleason's class came down as Native Americans. 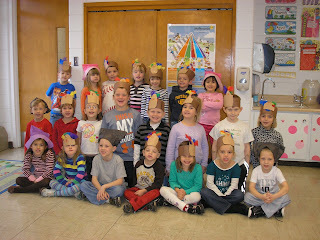 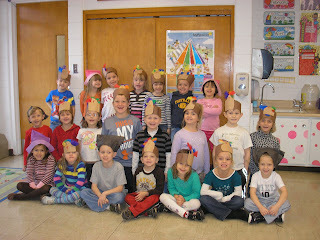 Our class dressed up as Turkeys and Pilgrims. We have spent the last month learning about what life was like if we were a pilgrim and had to make that intense journey across the sea. 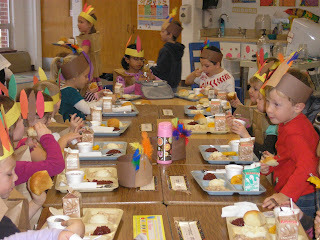 We also studied how Samoset and Squanto helped the pilgrims learn skills so that they could survive in the new world. 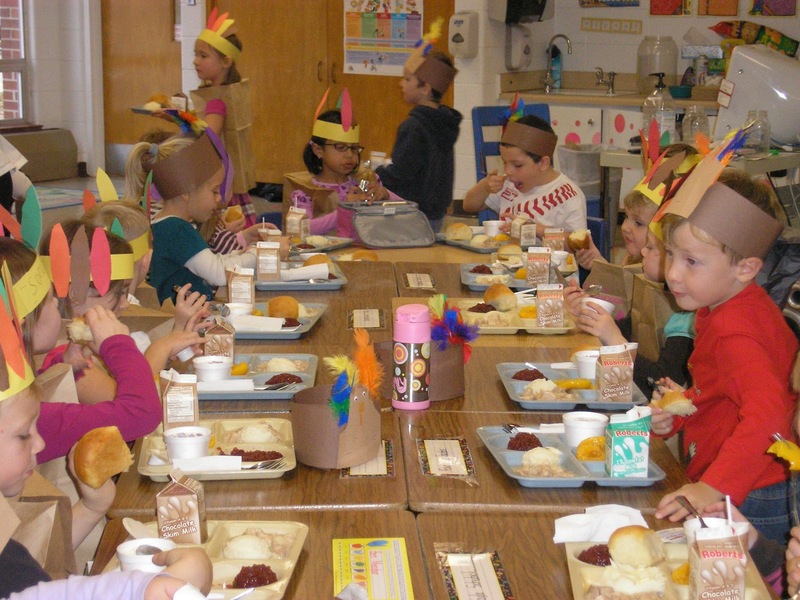 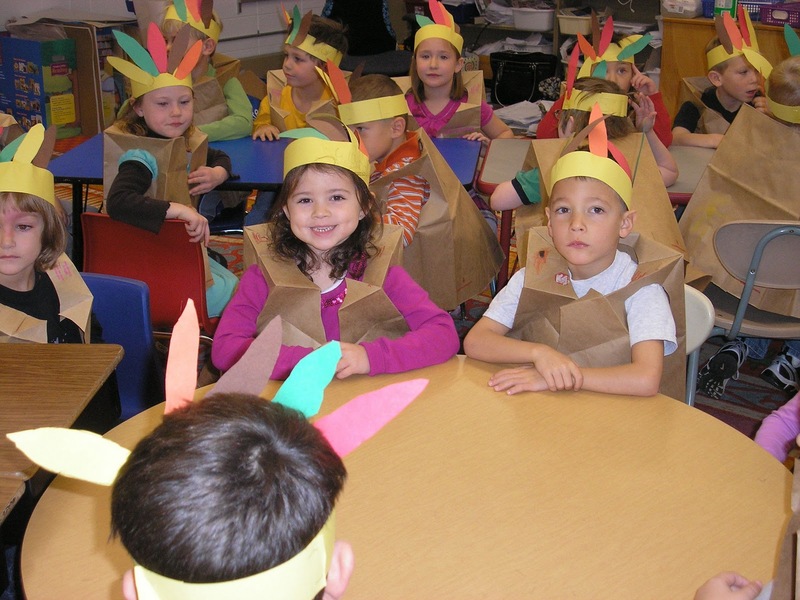 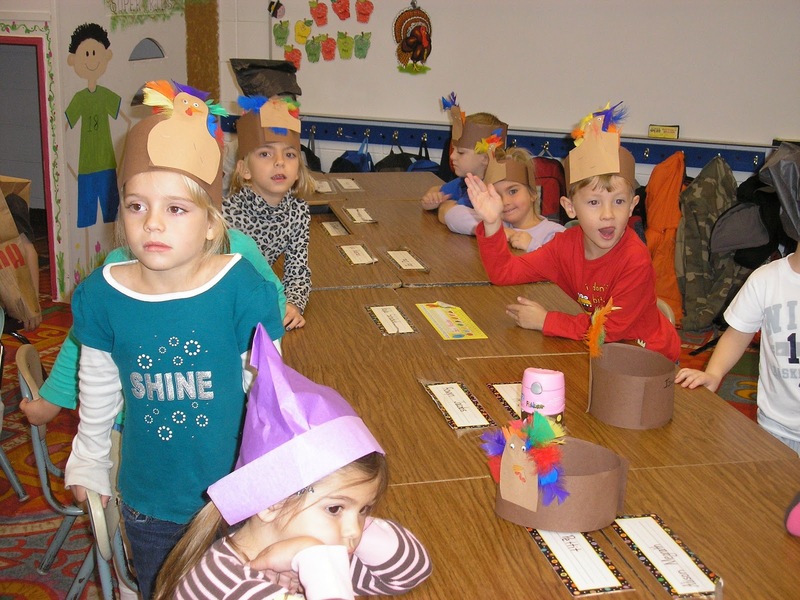 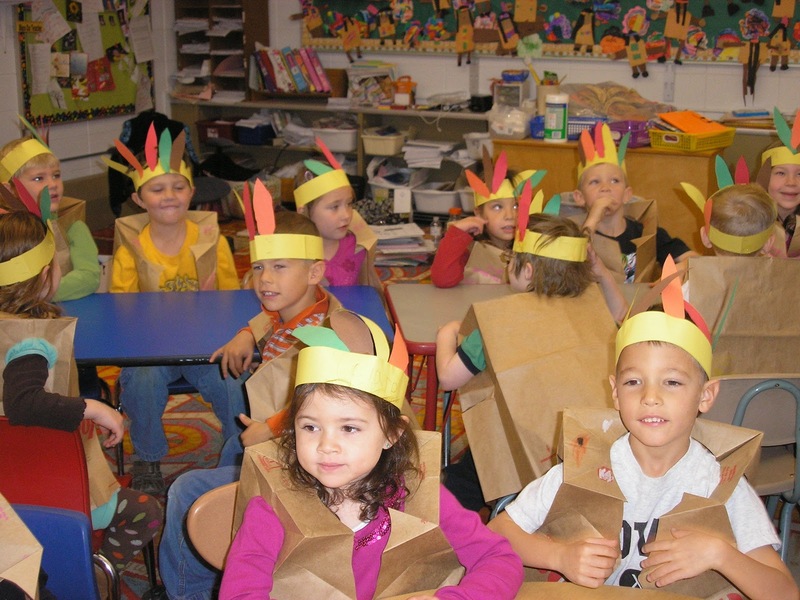 Before feasting, both classes sang Thanksgiving songs and danced a Pow-Wow! 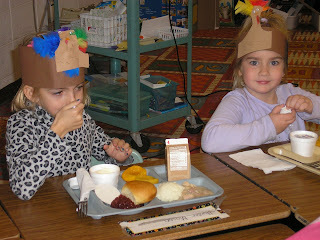 We are blessed to have such fun friends in our school and to be able to share Thanksgiving with them.